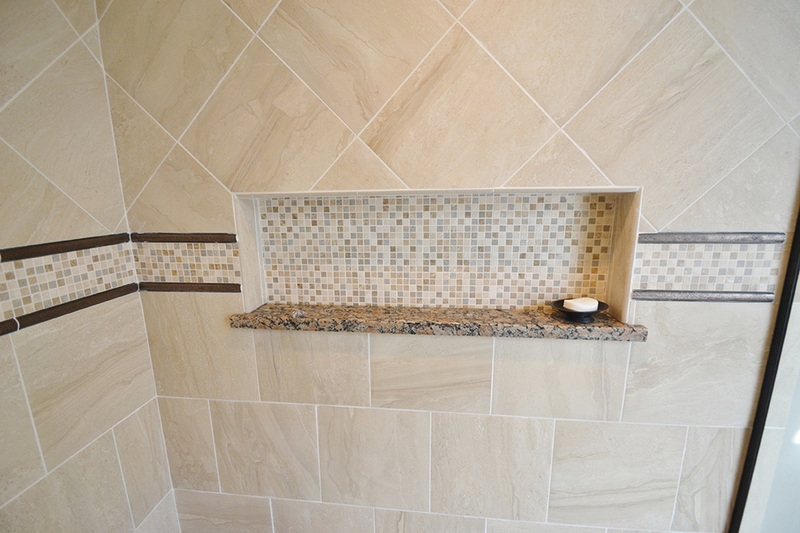 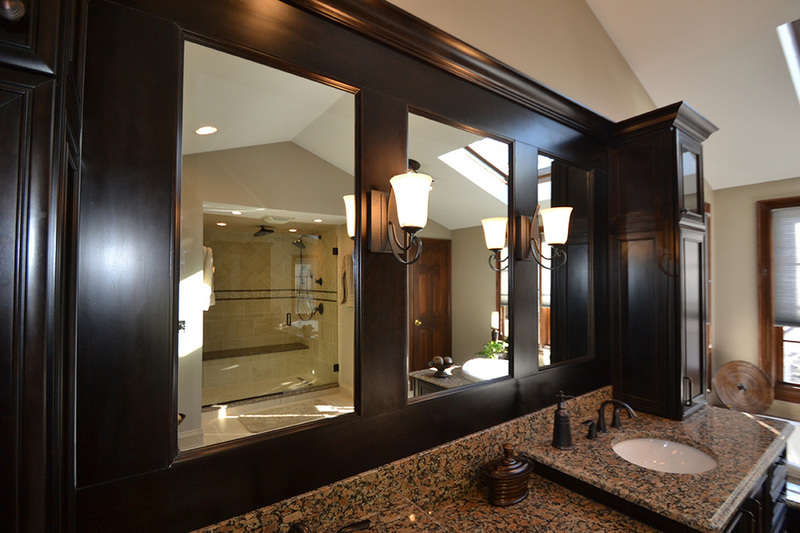 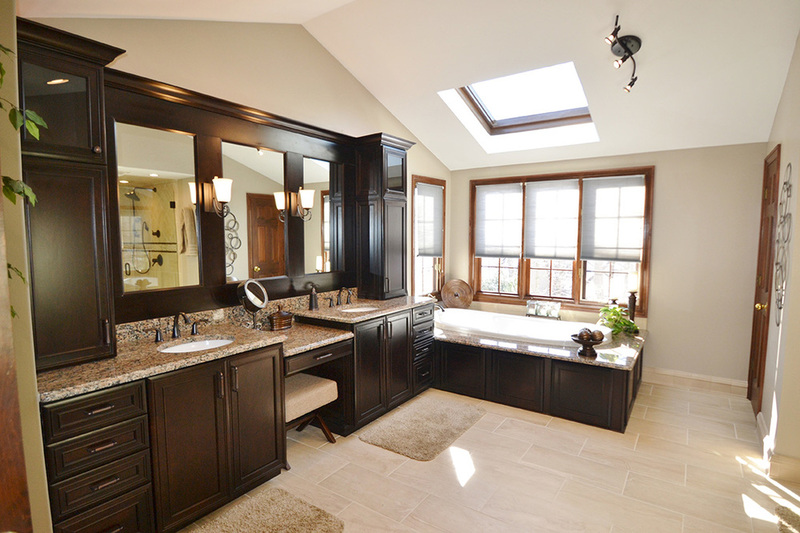 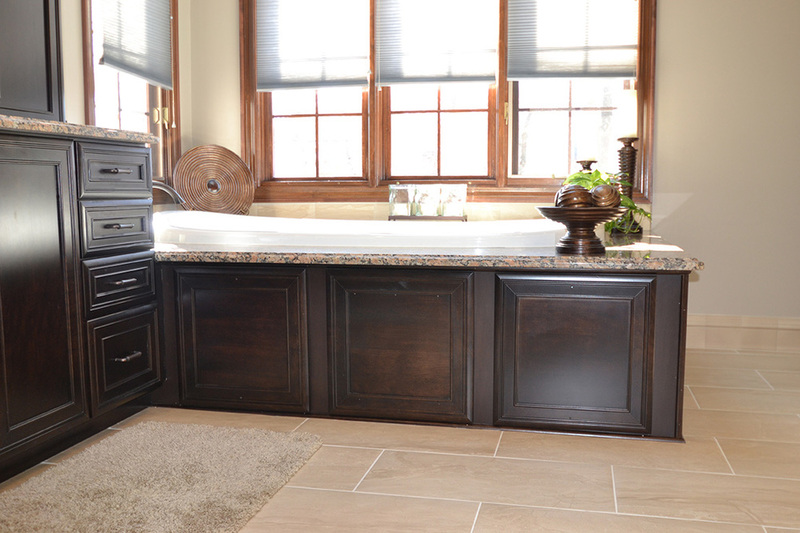 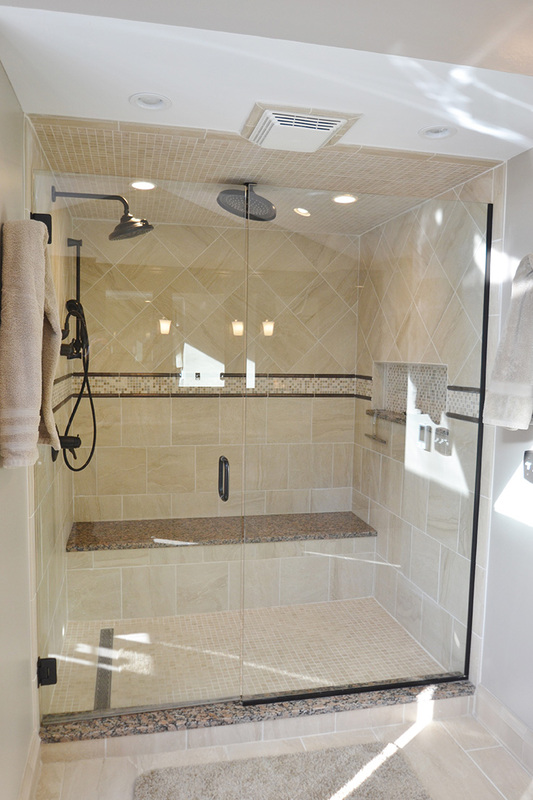 As if chocolate wasn't luxurious enough on its own, this Worthington, Ohio, bathroom remodel makes it even more luxurious. 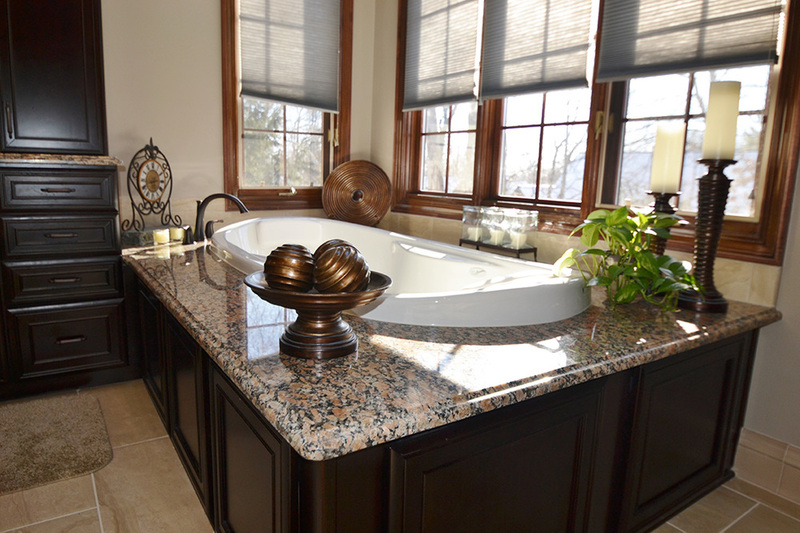 The rich color of Kraftmaid's Northwicke style cabinets in cherry peppercorn add an extra decadence to this bathroom remodel. 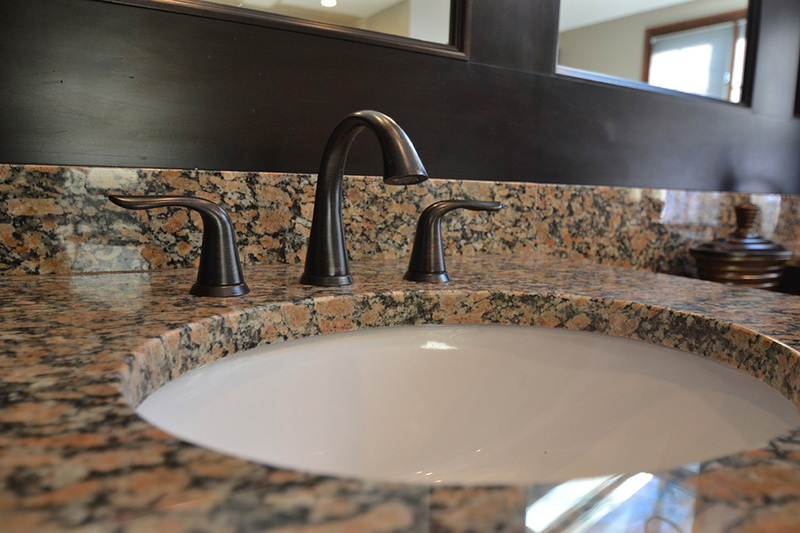 The countertops are Giallo Boreal granite. 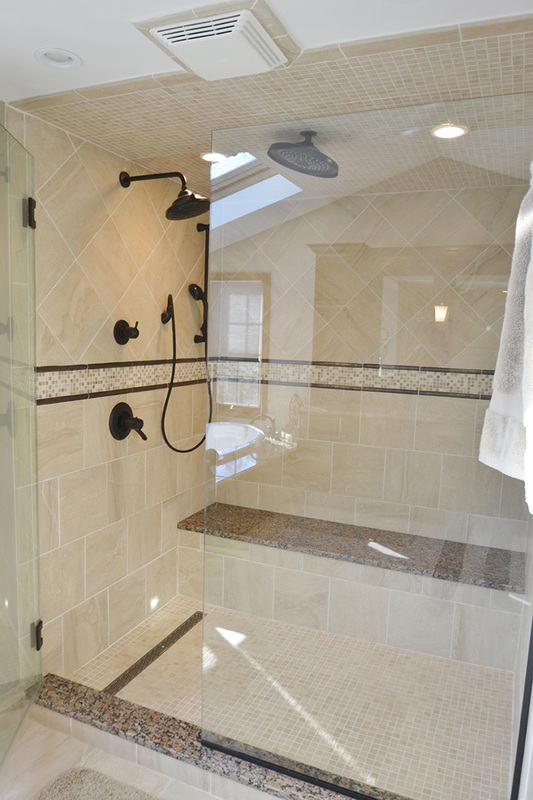 The porcelain tile for the shower, from Hamilton Parker Company, is Emil Anthology Velvet Marble - 12x12 in the shower and 12x24 for the floor.